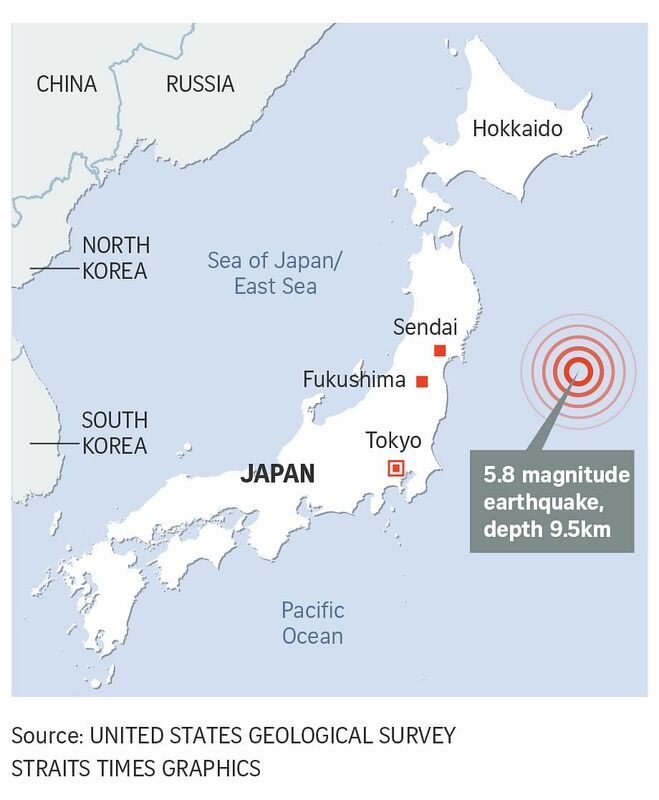 TOKYO (Reuters) - A magnitude 5.8 quake struck off the east coast of Japan on Monday (Nov 13), the US Geological Service said. The quake, originally measured at 6.1 magnitude, hit 351 km east of Sendai, Honshu, at a depth of 9.5 km, the USGS said. The Japanese Meteorological Agency said the quake's magnitude was 5.7 and it struck at a depth of about 10 kms. It also said the intensity of the quake was not strong enough to cause any damage on land.